Hi everyone! Anne here with a page I made using the extraordinary Remembrance collection from NBK Design at Oscraps. I was so pleased when Nicole mentioned she was going to do this kit. 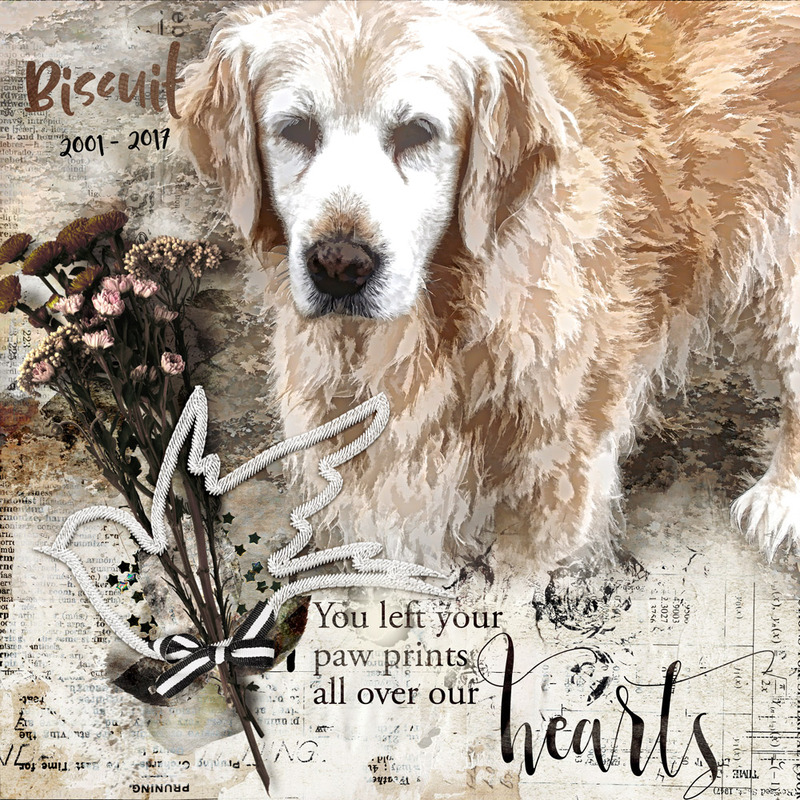 Our beautiful old golden retriever had died recently, and I wanted to create a special page in memory of her. 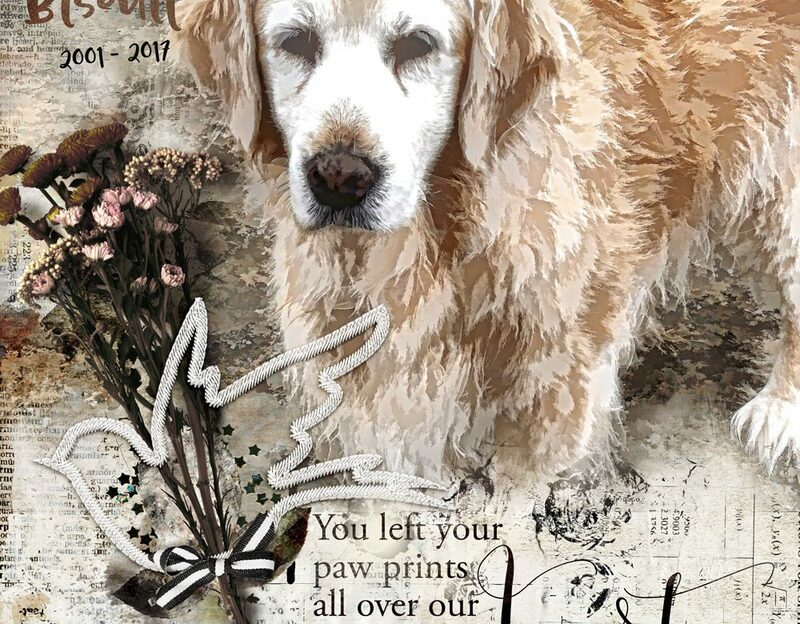 Remembrance was just perfect for my needs, and there was even a separate set of pet word art. So……thanks to our darling Biscuit for all joy she brought into our lives.